Elegance and discreetness based on cutting-edge technology: Up to 42 HiRes images per second and excellent image quality even under poor illumination. 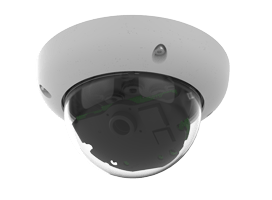 The MOBOTIX Dome is perfectly suited for any task. Exchangeable lenses and various mounting and configuration options, including Vandalism Set, support countless applications.